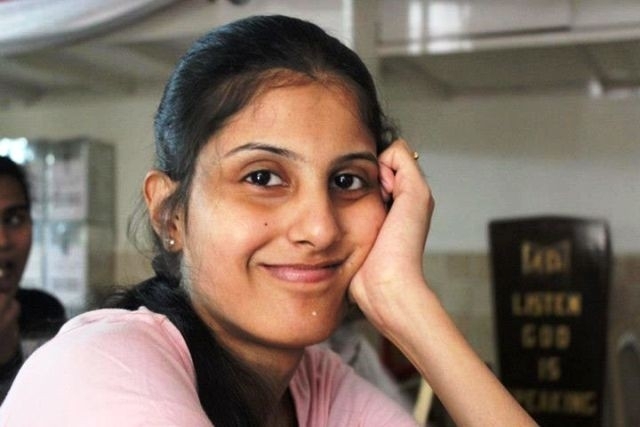 Janice Raquela Mendonca, 24, from Mumbai, India, is suffering from a rare and painful disease called Wilson's disease (WD) also known as hepatolenticular degeneration. Wilson's disease is caused by copper accumulation in the tissues. It is a rare genetic disease, 1 out of 40,000 people get diagnosed by this disorder. Mendonca was diagnosed with the disease in April 2008. Her symptoms were dazed vision, stiff fingers and drooling. She lost her sense of balance and showed erratic behavior. She was given doses of penicillamine drug as a part of therapy to remove copper from her body. But there were severe side effects. Mendonca suffered from fading voice, loss of appetite, dystonia of movement, disorders in her legs and fingers, temporary paralysis and stiffness of fingers. About 20 to 30 percent of patients consuming penicillamine suffer from after effects like vomiting, diarrhea, dysgeusia or distortion of taste sense and bone marrow suppression. Slowing down the healing process in the body is another reaction to this medicine. Apart from the above painful side-effects, she also underwent severe depression. She was admitted to the Masina Mental hospital, a rehabilitation center in Mumbai around August 2008. She was given 14 electroshocks, also known as Electroconvulsive therapy (ECT) as a part of the treatment. "When you are first diagnosed for four to five years everyone is put on penicillamine because it removes copper faster though it has side effects too much of copper in the organs can result in irreplaceable damage hence everyone is put on penicillamine," Mendonca said in an interview to Scienceworldreport.com. In 2010, Mendonca accidentally got burnt in the kitchen. Her wounds took time to heal due to penicillamine and she had to undergo three collagen applications. Penicillamine also affected her kidneys. Later, her prescription was switched to galzine or zinc medicines, which is comparatively slower than penicillamine, but safer with no side-effects. 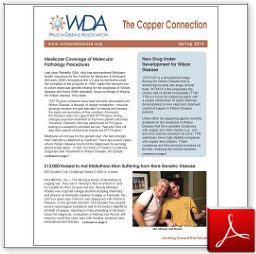 A low-copper diet is recommended for patients of Wilson's disease. It is suggested that they avoid food like mushrooms, chocolates, dry fruits and prawns, shellfish, crabs and lobsters. She consumes six zinc pills a day, two tablets for keeping her mood swings under control, anti-acids, steroids along with calcium and potassium syrups and her sleeping pills. "The worst thing is I have to fast for two hours before taking the tablets and after taking tablets another two hours so that it can remove the copper from my body. My day consists of12 hours of fasting and eight hours of sleep, I hardly get any time to eat," she added. "I hate it as its genetic, people suffering from this disease don't have a choice as there is no precaution." She also said that she misses her independence the most, which has been lost due to the disease and also hates the sound of her voice. She faces a lot of problems while travelling on public transport as people don't understand what she says and still has issues with balance. "One thing I've learned from this disease is that failing an exam is nothing compared to any disease an exam you can retake and pass out with flying colors but as my doctor said some people even after going for speech therapy never retain their voice or their movements. A very frustrating thing is after every meal we have to pop in pills just to survive, without them we die," Mendonca said.